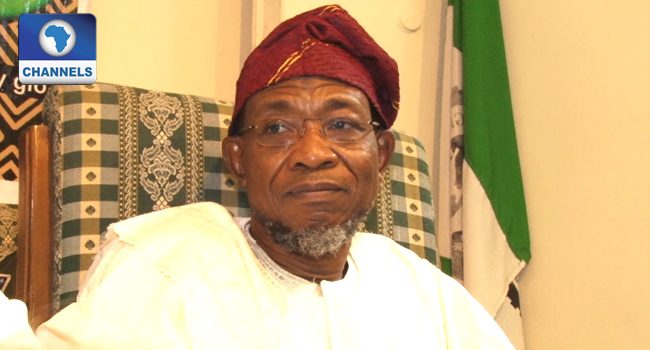 FILE PHOTO: Osun State Governor Rauf Aregbesola. Osun State Government has declared Monday, April 16, a public holiday. This is to provide the opportunity for eligible voters to participate in the ongoing Continuous Voters Registration (CVR) exercise by registering with the Independent National Electoral Commission (INEC) and collect their Permanent Voter Card (PVC) to be able to perform their civic responsibility when the election comes. The Commissioner for Information and Strategy, Mr Adelani Baderinwa in a statement on Sunday said the registration and collection of PVC is an important aspect of the election and it requires the participation of eligible voters. Baderinwa added that the essence of the public holiday is to allow government and non-government workers to register for voters card and for those that had registered to collect their PVC. He urged people above 18 years old not to be nonchalant on the CVR and collection of PVC, adding that Monday is the last day for the voter registration exercise as declared by INEC. “Voter Registration and collection of PVC are important and strategic to the electoral process and have the capability of strengthening democratic governance. “Voter registration helps to facilitate the credibility of the electoral process and democratic governance and that is why the government found it imperative to create ample opportunity by declaring Monday, a work-free day which is the last day for the eligible voters to register. “A voter that has left his or her former residential area should approach INEC office in his or her new area for transfer of voter card to enable him or her vote in the new residing area. “The Continuous Voter Registration had started on Wednesday, April 11 and will end tomorrow, Monday, April 16,” he said. For those whose PVC had been defaced or lost, Baderinwa implored them to go to the INEC registration centres in their various areas to register afresh, just as he warned against double registration, describing it as criminal.